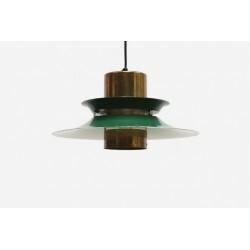 Hanging lamp from the 1960's, probably Scandinavian. 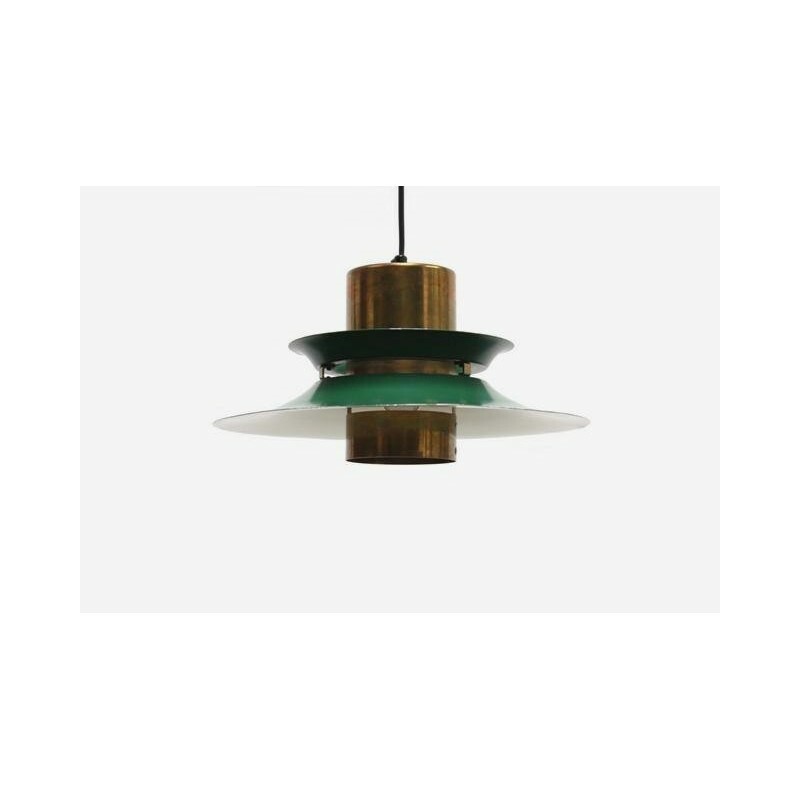 The lamp is made of 2 discs around a cylinder formed middle. The condition is fairly good given it's age, the brass colored part has some oxidation ( see detailed pictures). The dimension is 24 cm in diameter and 19 cm in height.